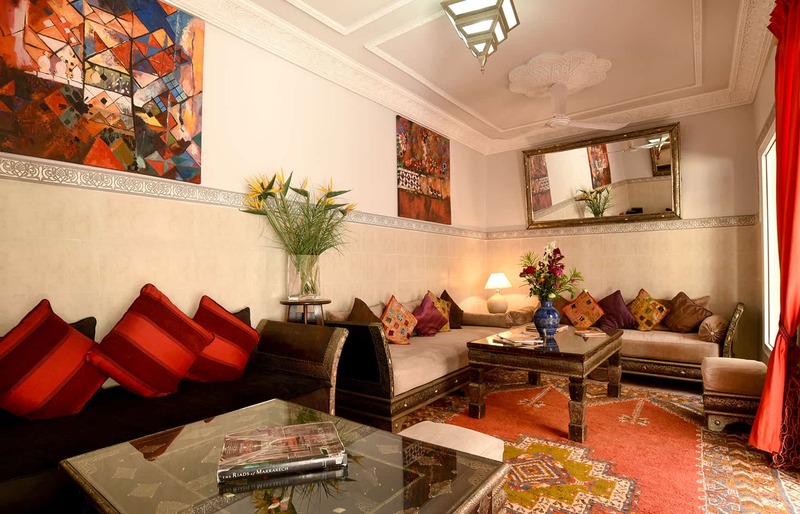 Riad Shaden is situated in the east of the medina in Bab Aylen, one of the most authentic quarters of the old town. 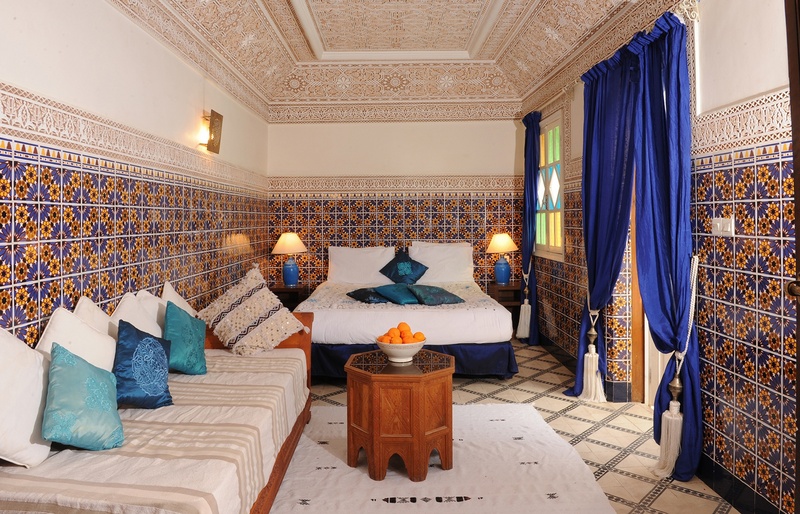 Riad Shaden has 4 standard double or twin rooms and 2 suites, all with air conditioning, heating and televisions in all rooms. On the ground floor, there is a large comfortable living room, and a spacious courtyard with additional seating areas. 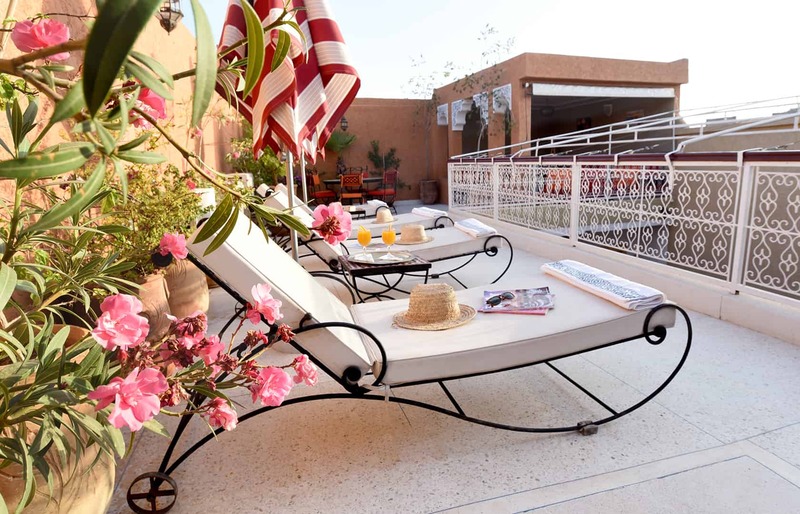 The riad also has a sunny and secluded roof terrace. If you are looking for things to do in Marrakech we can help organise tours from Marrakech. 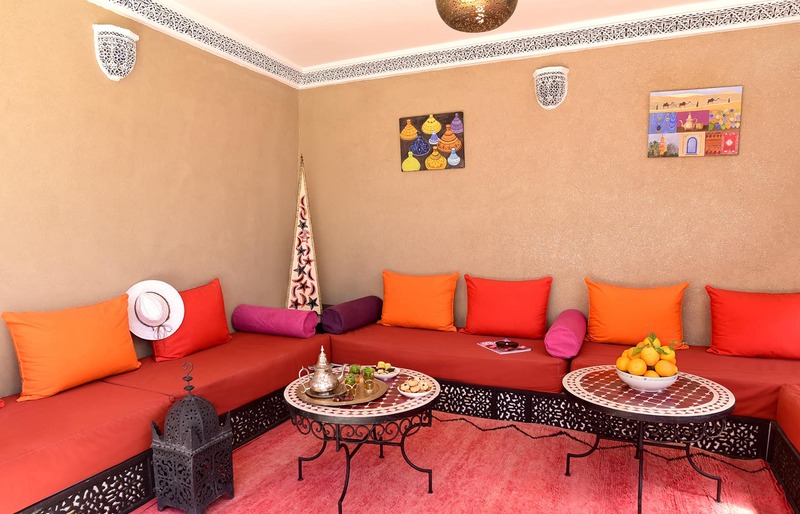 Details of our Marrakech day trips, tours from Marrakech and Marrakech private excursions can be found on our excursions page. 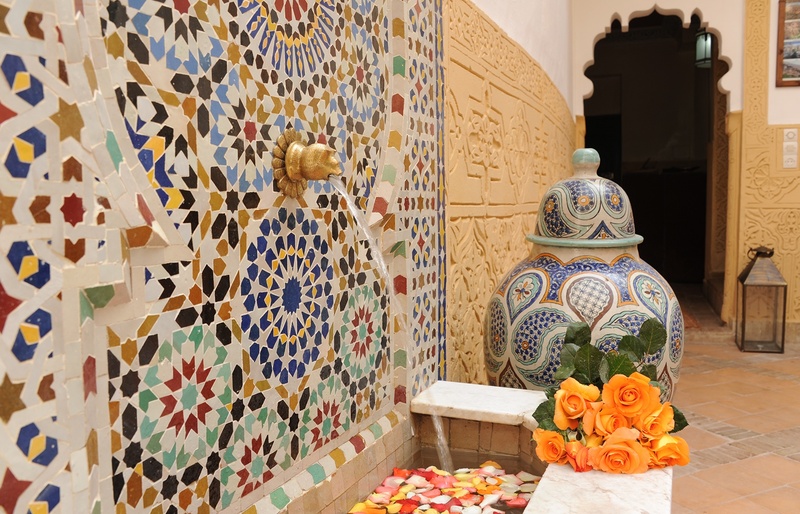 If Moroccan cookery classes appeal, take part in our Moroccan cookery lessons. More information on our Moroccan cookery page. 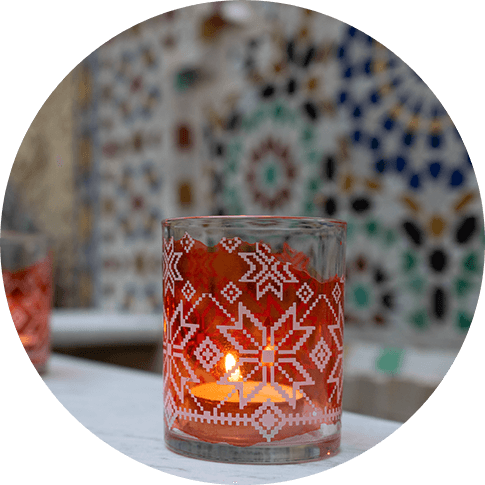 And if you want to experience a riad in Essaouira, click here for information on our 2-centre holidays and experience two of the best riads in Morocco.